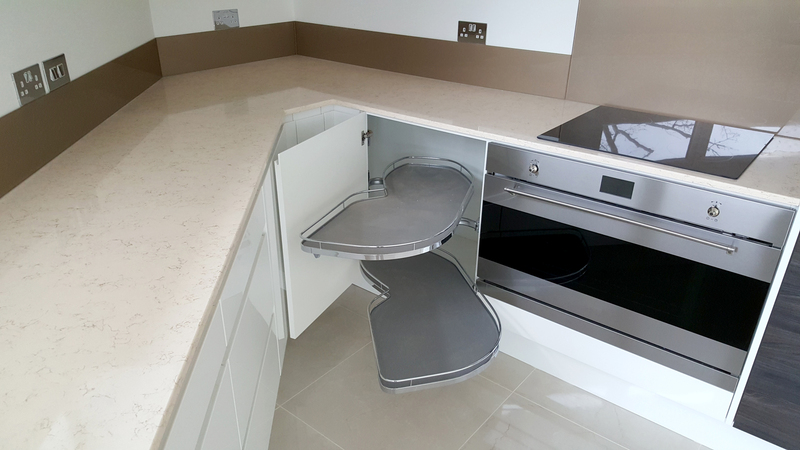 This uniquely shaped kitchen is complete with lots of clever storage ideas keeping in line with the modern look of this quirky house. 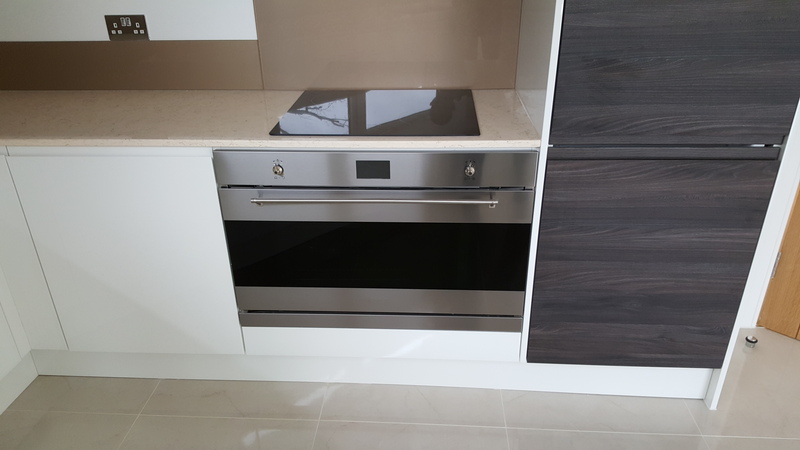 The extra wide 900mm oven is the feature of this kitchen accompanied by the induction hob and cooker hood. 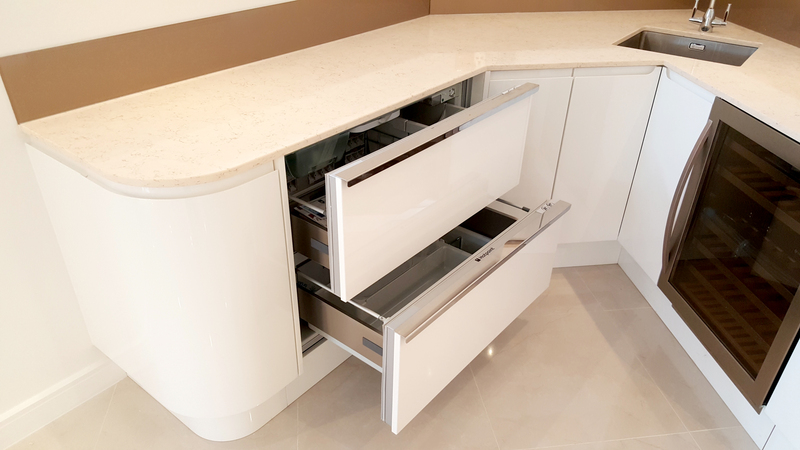 An integrated fridge freezer, integrated dishwasher, le mans corner unit and pull-out bins ensure the minimalist look is kept throughout the kitchen. 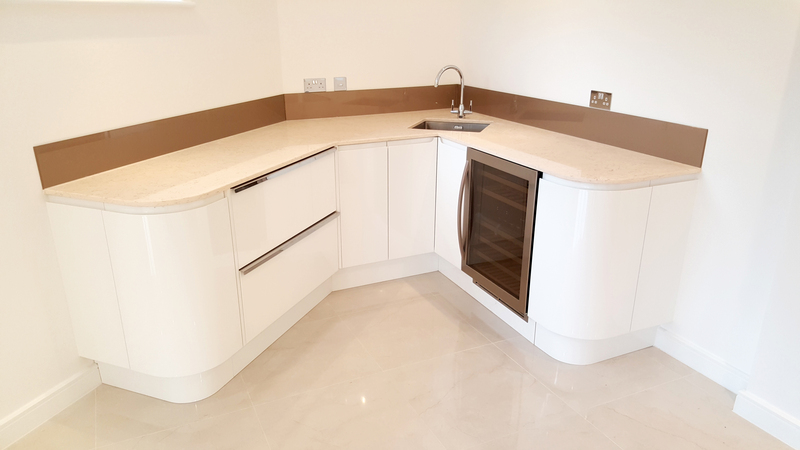 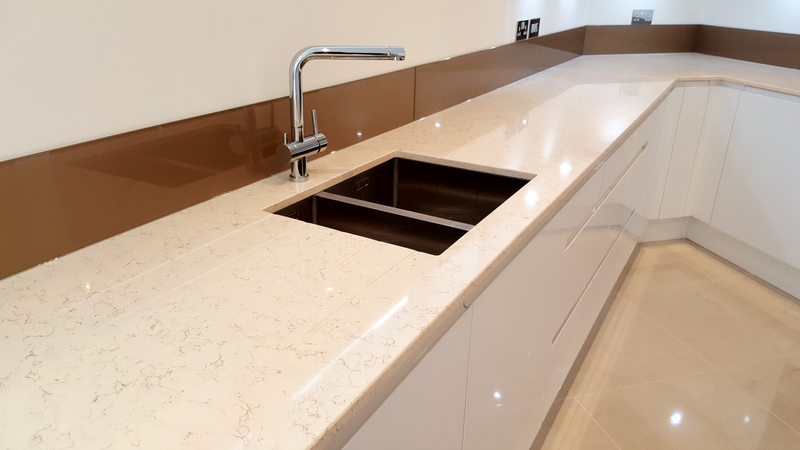 This kitchen has Remo high gloss white base units with Remo dark elm tall and wall units and 20mm Silestone Phoenix Quartz worktops. 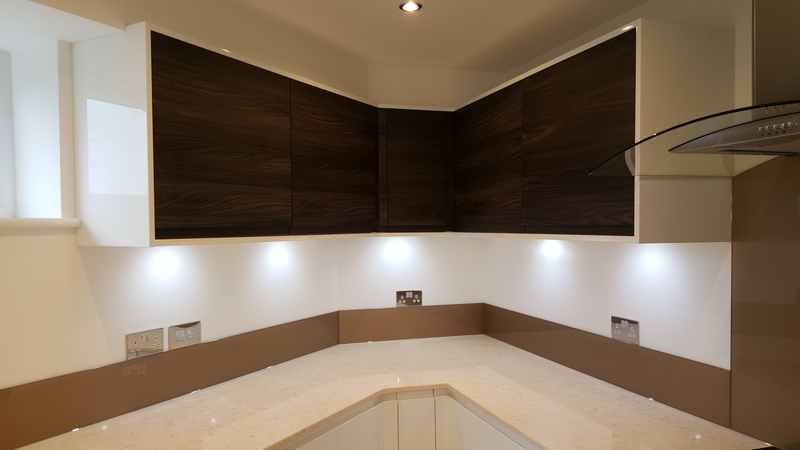 An addition added by the customer on completion was the stunning copper splashback and upstands.